I don't know as much as I'd like about the late Ron Gonnella. He taught at Morrison's Academy in Crieff, Perthshire, but I haven't met anyone who knew him. What little I know is here is gleaned from record sleeves. Ron Gonnella's great grandfather was a Robert Dewar from Perthshire, who was a shepherd near Tulliemet in Perthshire. 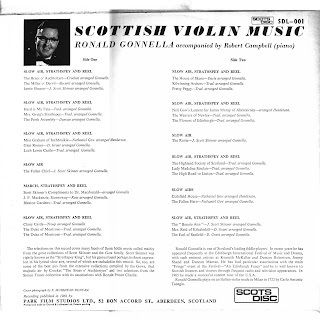 Gonnella was from Dundee originally, and played in the Scottish Dance Band circuit with the bands of Jim Johnstone and Anrew Rankine. He had his own band for a while - featuring Iain MacPhail on accordion - but it was as a solo artist that he toured all over the world promoting Scots fiddle music. He recorded many albums (I have twelve different records) and I think this one was his first solo recording. The instrument Gonella played was a 1722 Italian violin made by Carlo Antonio Tanegia. 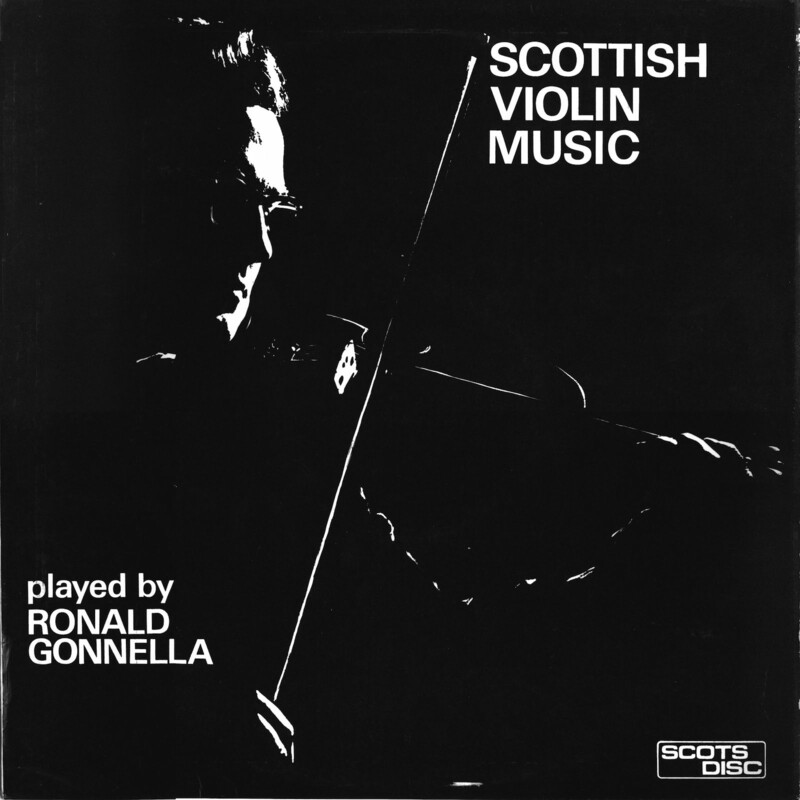 I have been told that after his death there were a number of fiddlers desperate to try it to achieve the same wonderful tone that Gonella produced; in the end it turned out to be a mediocre fiddle, and it was the musician who was special, not the instrument.